Providing software, IT services, and Japanese/English translation. Based in Tokyo, Japan. 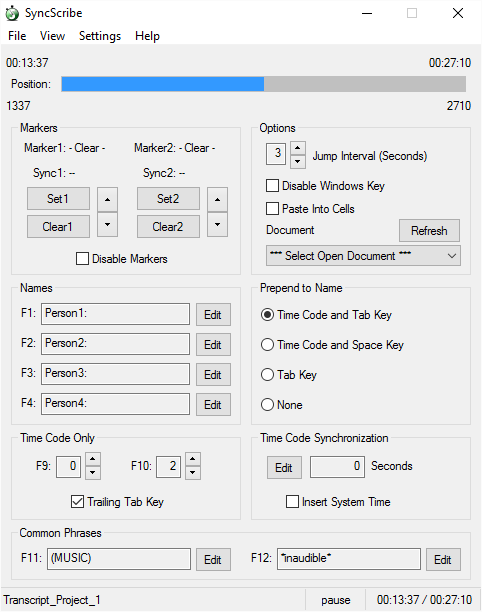 A Windows tool to aid in time-coded video transcription and translation. Reduce tedious entry of names and time-codes. Have you been tasked to quickly transcribe or tranaslate a media file (video or audio) into a time-coded text document? SyncScribe is the ideal program for you! Achieve immediate and dramatic time savings. 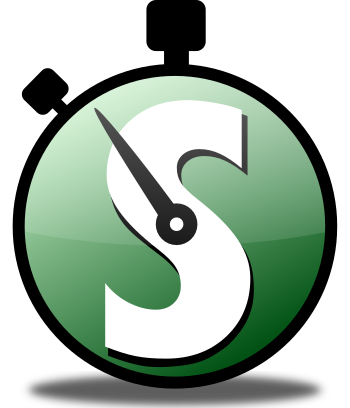 SyncScribe v4.00 Shareware and Freeware Versions available! Powerful and easy-to-use shortcut keys. Accomodates inserting text of time-code and speaker name anywhere. Works well with common word-processor and spreadsheet applications. Compatible with 3 popular players: Windows Media Player, VLC, and Media Player Classic. Properly handle Burnt-In Time-Codes (BITC). Introducing SyncScribe, a Windows tool to assist in transcribing media files into time-coded text using shortcut keys. MujoLabs provides a variety of services such as pc troubleshooting, engineering services, and projects support. Looking for a translation company? Try our partner, Acima. Their "First Translation" service supports over 60 languages. MujoLabs is a software and IT services company in Tokyo. Learn more about the offerings by exploring the Products and Services links above.